Each new year is full of hope and endless possibilities. Make this the year of a happy home by taking the time to properly maintain it. Start the new year off right around the home by taking the following steps to be sure your house is ready for the year ahead. Furnace Repair in Greensboro, NC, is one of the most important steps you can take to prepare your home for a new year. The ideal time for furnace maintenance is in the late summer or early fall, but better late than never. The coldest months in North Carolina are usually January and February, so it’s crucial that your furnace is in good condition. A heating system tune-up involves inspecting, cleaning, and repairing your furnace to prevent potential problems. Reduce your chances of furnace failure on a cold day or night by calling your HVAC company to come and service your system. Refill Propane and Heating Oil Tanks. If you heat your home with propane or heating oil, the new year is a good time for tank refills. Running out of fuel is very inconvenient during cold weather for a variety of reasons. One of those reasons is that you are at the mercy of the current fuel prices and possible shortages, meaning you may pay more for your fuel during the coldest months of the year. Another reason is that allowing your tank to get completely empty results in a more complicated and more expensive refill process. And the most obvious reason is that you’ll be feeling pretty chilly inside while you wait for a refill. You may even have to pay after-hours or emergency fees for night or weekend deliveries. Avoid running out of heating fuel by signing up for regular refills with your supplier. Replace Batteries in Smoke and Carbon Monoxide Detectors. An important safety precaution, testing your smoke and carbon monoxide detectors and replacing the batteries ensures a safe year for your family. Even if the batteries are not dead, replacing them means you’ll be sure your detectors are ready to warn you if necessary. And you can avoid that annoying chirp that wakes you up in the middle of the night while you stumble around in the dark trying to figure out which one is going off. Also make sure you have a working fire extinguisher in your kitchen. If you’re not already a Berico customer, you could be missing out on some real advantages. Berico is an all-in-one home comfort service, meaning every aspect of your home’s climate control can be handled by expertly trained technicians. 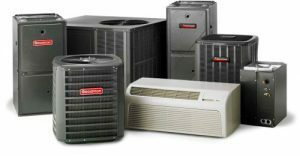 Heating and cooling system maintenance, repair, and installation can be taken care of by Berico no matter what brand or model you have. If you require heating fuel, Berico delivers propane and heating oil when you need it or on a predetermined schedule based on usage and weather. Be sure your home is ready for the year ahead by calling Berico at (336) 273-8663.